Welcome to the Biker-Friendly Church Network (B.F.C.N.). 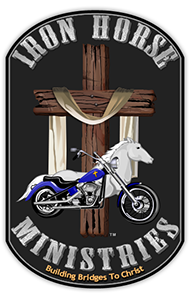 The basic purpose for this interactive website, is to make available an easy to use list of churches that have a heart to minister to those that ride motorcycles. This is not just another 'read me' website, you can actually participate in this growing outreach whether you ride a motorcycle or not. How it works is, if you know of a biker-friendly church in your area and you don't see it here yet, then please let us know. Just click the "Join The Network" button (above); then fill out and submit the simple form provided at the bottom of that page. That's all you need to do, we'll take it from there. We are truly grateful for your participation in this huge project. The more churches that are on this list, the more opportunities there will be for God's people to minister to the riders and their families out there, no matter who or where they are - no strings attached - no questions asked. It just doesn't get much better than that. Now, if you're a rider and you find yourself in need, whether you actually live within the region of a church on this list, or whether you're just passing through, don't hesitate to contact them - they’re expecting you. Let God minister to you through His church - you both will be blessed. This list is always growing, so if you don't see a church that's close to where you are right now, then please, keep checking back. However if you need help right away, then please feel free to contact any of the churches on the list. You just never know, they might be aware of a biker-friendly church in your area that's not on the list yet.